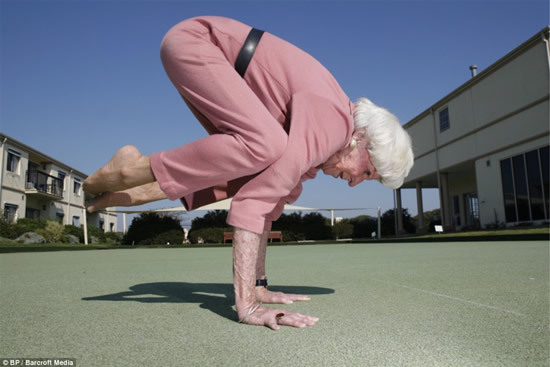 83-years-old Bette Calman is living proof that the ancient art of yoga can do wonders on the human body. 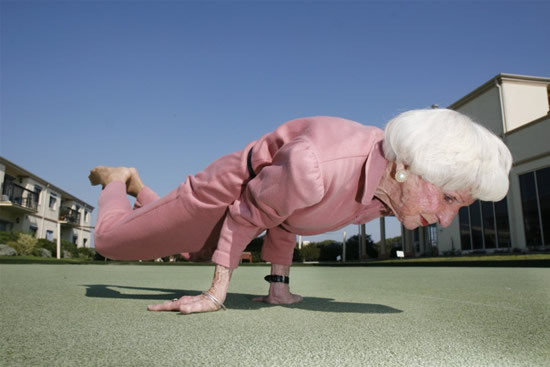 Bette Calman has been practicing and teaching yoga for the last 40 years and, although other people her age can hardly move anymore, she can pool of difficult yoga moves that put teenagers to shame. She can execute the “peacock” a difficult position in which the body is held horizontally, using only the power of the arms, the “bridge”, “lotus” and can stand on her head with unnatural ease. 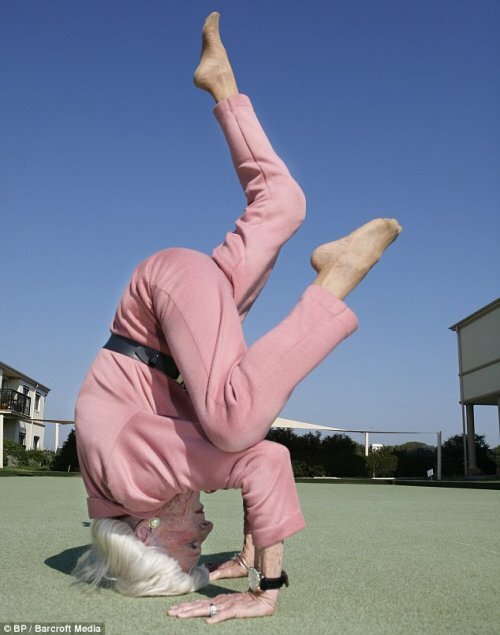 ‘You’re never too old. The body is a remarkable instrument. 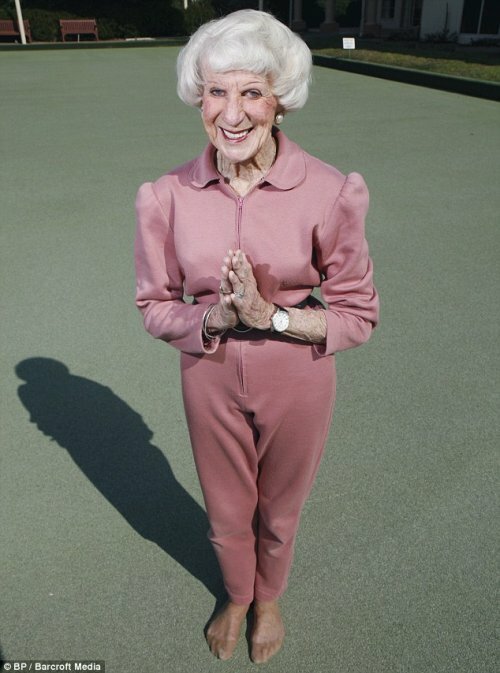 Ms Bette Calman teaches up to 11 classes every week, in Williamstown, Australia, teaching others the remarkable effects of yoga.